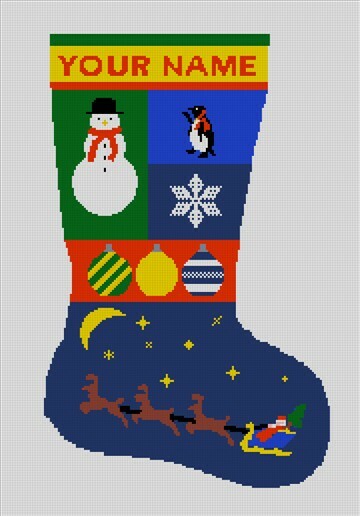 Create your own personalized Christmas stocking needlepoint canvases this year for Christmas! Hand Made on Zweigart Mono Canvas, these canvases are made to your specs. Colors, Words, Names, mesh and overall sizes can all be adjusted to your preferences. This kit coordinates with the Santa Ornament!